Vaporizers allow you to benefit from the active compounds without exposing yourself to all of the harmful effects of smoke. At VaporPlants.com, we have a huge selection of vaporizers with options to suit every need available at highly competitive prices. Every day, more and more people are giving up their old smoking habits and spending their time vaping instead. There are a number of reasons why a person might want to switch from smoking, or combustion, to vaporizing their materials. Now that you know a few things about vaporizers, let's look at some of the vaping styles you should consider before purchasing a vaporizer. Next, consider the budget that you have in place before choosing your next vaporizer. If you have a budget anywhere between $50 and $100, you may think your options are limited, but that's where you're wrong. No matter what you like to vape, budgeting for the right style of vaporizer is an easy task. It comes down to looking at the features that you want and judging their value based on their price point. There are a number of true vaporizers and vaporizer pens in this price range. The options in this price range are numerous and allow you several great choices for portable and desktop vaporizers alike. In this price range, you can get a portable vaporizer that is highly recommended, the Arizer Solo, priced at $225 or the FireFly for $269. If you want to have a desktop vaporizer at home, you could have a high-end vaporizer such as the Arizer Extreme Q, priced at $239 or the Vapir Rise, priced at $249. With more than $300 to spend, you may as well purchase the Volcano vaporizer by Storz & Bickel. The classic sells for $479 and the digital for $549. The Herbalizer is great too, but costs around $599. The vaporizer reviews found on VaporPlants are based upon our own unique testing done by our staff members. VaporPlants is proud to bring you a comprehensive list of some of the best vaporizers on the market today. The list will give you a chance to get a better grasp on the type of model you want to buy. Available in a number of different varieties including concentrate and dry herb models, you can be sure to find a vaporizer that matches your taste and can help you switch from combustion to total vaporization. The next edition from the well-loved Pax vaporizers, the Pax 3 is a sleek, slender and ultra-portable vaporizer that revolutionizes even the untouchable Pax line. With a mere 15 second heat up time, this smarter and smoother brother of the Pax 2 features a mouthpiece that runs flush with the rest of the vaporizer to encourage better portability. The Pax 3 features three oven lids, one for dry herbs and one for concentrates. It also comes with four pre-set cycles that can be chosen using the user-friendly Pax 3 app. The Atmos Vicod 5G is a great portable vaporizer for beginners and experts alike. It produces exceptional vapor through short, two to four second draws. With the extended mouthpiece, vapor has more room to travel and is smooth and tasty. The draw resistance is low, aiding in that pleasurable experience. This portable vaporizer has a nicely sized ceramic oven that allows for precision heating and crisp, undeniably smooth and flavorful vapor. The temperature range goes from 300 to 435 degrees Fahrenheit. Measuring only 3.45 inches in height, the Atmos Vicod 5G vaporizer can go anywhere that you go. Atmos Ruva is an ultra-compact and efficient dry herb vaporizer surrounded by a heat-resistant rubberized finish for your comfort. Its magnetic mouthpiece makes it simple to refill the quartz heating chamber, producing an exceptionally flavorful and clean vapor. The Atmos Ruva vaporizer uses vibration notifications to let you know when it’s done heating, which takes no time at all, and its large OLED screen allows for precise temperature control that heats up the atomizer quickly. It even features an automatic safety shutoff feature to give you peace of mind if you forget to turn it off after use. Renowned manufacturer Atmos is at it again, this time with a popular cheap vaporizer pen for dry herbs made to stand the test of time with its sturdy carbon fiber body. The heating chamber vaporizes your herbs in no time at all, as little as seven seconds, which is much faster than other convection dry herb vaporizers on the market, and it lasts for quite some time with its 1200 mAh battery. One can enjoy 5 to 6 long vaping sessions without needing to recharge it for the recommended 2 to 3 hours. There is, of course, only one temperature setting which is one drawback. The Atmos Jr is a truly interesting vaporizer and is definitely the smallest and most compact on the go vaporizer on this list. Its design is unique and its build quality is outstanding. It is sleek and solid and feels great in the hand. The only real downside to the Atmos Jr is the fact that it doesn't do dry herbs well, as it takes the addition of a glass screen to make it work. Even then, the dry herb chamber is small and won't let you vape too long. That said, this vaporizer works wonders with concentrates. Waxes and oils are where this pen shines, making dabbing on the go simple--especially with the included dab tool. The Atmos Forge Kit is an ultra-high quality and diverse vapor pen that features both convenient 520 threading as well as temperature control features. You can heat one of the three dual coil atomizers with titanium coils and ceramic bars with ease and in no time at all, making it a great on-the-go vaporizer that can be taken with you anywhere, especially considering its small size. Ultra sleek and stylish, the Atmos Forge vaporizer is excellent with waxes and oils and has airflow control that permits you to choose the way your vapor is produced. The Air Vape XS is a super small, lightweight, and compact portable vaporizer that can be put into any pocket or bag and taken anywhere. It uses a ceramic oven that can heat up to the selected temperature in only 30 seconds and will help evenly distribute the heat throughout your herbs for up to 10 minutes. The AirVape XS vaporizer has precise temperature control settings that can be managed using convenient up and down arrows on the unit, and no matter the temperature you choose, the vapor will come out tasty and smooth thanks to its glass mouthpiece that makes the unit simple to load. 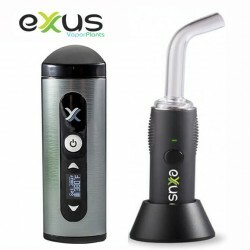 A portable vaporizer for dry herbs, the Boundless CFX uses dual conduction-convection heating that allows for up to one gram of herbs to be vaporized evenly at one time. Concentrates can also be used in this vaporizer. The CFX features two 2500 mAh batteries that come with an ultra-long battery life that can heat the vaporizer to up to 360 degrees Fahrenheit in 18 seconds flat. The vapor production is outstanding and rivals the flavor, which is one of the best points about the CFX portable vaporizer. The Boundless CFX also has a five-minute safety shut-off to prevent overheating. The Cloud Pen Paragon is the perfect vaporizer for those who want to vape on the go. It comes complete with a no-goo silicone jar for concentrate storage and an integrated dabbing tool. The Paragon vaporizer is a powerful model that makes vaping out and about simple. It takes advantage of dual-quartz rod atomizers that provide ample surface area for the vapor to generate from while keeping the vapor pure and tasty due to its composition. With its air control valve, you can customize the way your vapor comes out. Finally, an ultra-powerful 2200 mAh battery powers the unit. Designed with low heat concentration in mind, the Dr. Dabber Aurora vaporizer optimizes the way you vape, perfectly syncing the battery, atomizers, and mouthpiece to provide a vaporization experience like no other. For total customization, the Aurora vaporizer by Dr Dabber comes with three unique atomizers: the dual ceramic rod with quartz dish, the ceramic halo with quartz dish, and the dual quartz rod with quartz dish. The emphasis on quartz means that each of your hits will be flavorful and pure, leaving behind no plastic taste like some others do, no matter the kind of concentrate that you use. Using magnetic pieces, the Dr. Dabber Aurora vaporizer components attach swiftly and easily to one another, making it simple to change out the pieces and the atomizers to deliver the exact type of vape that you want, making the entire filling and unloading process simpler than ever before, promising a hassle-free vaporizer. Alongside the three atomizers, the Dr. Dabber Aurora also comes with a dab tool, a magnetic USB charger, and a silicone storage container that your concentrates won't stick to. One of the more popular options for waxes and oils, the Dr. Dabber Ghost vaporizer is a great option for beginners. While the Dr. Dabber Ghost may look a bit ordinary, it performs remarkably well, which makes it a versatile vaporizer that can suit advanced and novice users. The quality of the Dr. Dabber Ghost is outstanding and feels solid. Smooth and sleek, the vaporizer has engraving at the end along with a stylish logo on the firing button. While it may be priced mid-range, it definitely looks like a more high-end model. Perhaps the most impressive part of the Dr. Dabber Ghost is that there is no heat up time needed whatsoever. While it is recommended that you wait around two seconds for it to heat to its optimum temperature to ensure consistent vapor, that is totally optional. Another impressive aspect of the Dr. Dabber Ghost--especially for such a small vaporizer--is its battery life, which can outlast up to 400 puffs. If you are a moderate user, it could even last a couple of days on one charge. The one drawback of the Dr. Dabber Ghost is its plastic mouthpiece. While the plastic is high quality, it does tamper the flavor just a bit. This isn't enough of a downside that it should deter you from trying the powerful vaporizer. Perfect for those who want to dab on the go without drawing much attention, the ultra-compact Dr. Dabber Light is a powerful, cheap vaporizer that is reminiscent of an old-style electronic cigarette. Made up of an atomizer and a battery only, the Dr. Dabber Light is simple to use, load, and comes with a titanium-wrapped ceramic fiber wick that can hold an impressive amount of concentrate, up to .1 grams. Both of the materials in the atomizer work flawlessly together to produce excellent tasting vapor and the entire vaporizer is run by a moderately powered battery. Made from aluminum, the DaVinci vaporizer is ultra-lightweight and portable, perfect for taking with you anywhere on the go. Glass tubes and pathways ensure that your vapor moves from the atomizer to the mouthpiece in one of the smoothest ways possible as not to dilute the flavor of your vapor. With its programmable temperature, you can set the DaVinci vaporizer to slowly rise as you vape to keep the temperature optimized the entire session through. After an hour charge, three hours of usage are possible, allowing you peace of mind that it won't die in the middle of a session. The Grenco Science G Pro is a powerful model for dry herbs, made by the well-loved company Grenco Science. With one of the best vaporizers on the market today, the G Pro is one of the most affordable vaporizers as well. If you need a slender, compact unit that can go with you anywhere but doesn't sacrifice any of its power, the G Pro is for you. The design is both sleek and very simple, small but incredibly well built. This vaporizer boasts a classy design that functions as beautifully as it looks. The Grenco Science GPro can vape your material at a number of different temperatures, allowing you to customize your vaping session. It heats up swiftly and only takes around 1-2 minutes until you're ready to go. The flavor profile of the Grenco Science G Pro is accurate and pungent, retaining the natural flavors of your herb without diluting them as some other models do, often leaving you with a burnt flavor. Another way the Grenco vaporizer is different from other models is the fact that it can tolerate large loads of dry herbs without becoming too hot, making it perfect for party settings. If the battery should die while in use, you can simply plug it in and vape while it charges, making it a vaporizer that can last as long as you do. Definitely the second best wax vaporizer, and only second because the first choice is a bit more versatile. Ultra compact, the Micro G is about as stealthy as a wax vaporizer can get, as it is smaller than even a ballpoint pen, fitting effortlessly into the hand, pocket, or purse. It allows for hits as big as you’d like by holding down the firing button for as long as you want. The Micro G never clogs, providing excellent hits every time through a clear mouthpiece. Simple to load, assemble, and use, this vaporizer pen is your new go to for on the go vaping. It comes with a dab tool and two glass concentrate jars that make it even simpler to use. The SToK OG Four 2.0 vaporizer packs a powerful punch that delivers a smooth, flavorful, and consistent vapor. It takes advantage of the patented lava-quartz technology paired with a quad airflow system for maximized clouds and smoothness. The SToK OG Four 2.0 features a beautiful chrome finish and has a striking orange polycarbonate heating chamber. By using quartz as its heating element, you will experience a much smoother, cleaner taste than you might with a ceramic vaporizer. The SToK OG Four 2.0 also has visual heating chambers that allow you to watch the vapor build up as you hit it, making this vaporizer even more visually pleasing. These neat features, along with its exceptional battery life, make the SToK OG Four 2.0 a true winner in our book. The latest evolution from SToK, the SToK R Series ReMix is a powerful vaporizer that comes in a striking and daring red color. It is built from high quality materials and is nice and solid with a comfortable feel in the hand. Inside, the SToK R Series ReMix vaporizer features two thermal cups that are simple to swap out to provide flawless vaping of wax with either one. 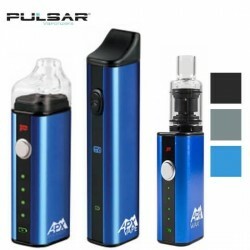 It has a polycarbonate visual chamber allowing you to watch the milky vapor being produced from its coil-less chamber which is heated with a powerful 6500 mAh battery. Powerful and popular, the Source Orb 4 is a robust concentrate vaporizer that comes with six unique atomizers to help you get the most out of your vaping sessions. These atomizers have each been designed for different aspects such as clouds or flavor and are each heated by a moderately powerful battery. With its magnetic parts, loading the Source Orb 4 vaporizer is a breeze, especially with its included dab tool. The Source Orb 4 features variable airflow for additional customizability and even comes with a convenient silicone carrying container for taking your concentrates on the go. If you want a luxury wax vaporizer without paying luxury prices, the Micro Vaped V4 is the vape for you. Portable and compact, this robust model has 6 heat settings: 360, 380, 390, 400, 410, and 420 degrees Fahrenheit, and each temperature can be reached in only 30 seconds, allowing you to heat it for as long as you wish. Each temperature setting is shown as a different LED color, which makes customizing your dabs simpler than ever before. The Micro Vaped V4 vaporizer features airflow control that allows you to choose the density and smoothness of your clouds. Known for its unique wooden design, the Magic Flight Launch Box vaporizer features a simplistic, yet elegant look that challenges the very nature of shinier, sleeker models. Packing just as much of a punch as its modernized counterparts, the Magic Flight Launch Box is a durable portable vaporizer that heats up your herbs quickly and efficiently in its uniqueness, using them up completely and wasting none. The Magic Flight Launch Box vaporizer uses replaceable batteries to ensure that you never gave to go without your on the go vape sessions. It produces moderate vapor but excellent flavor. The KandyPens SkyCloud is another great example of a true 3-in-1 vaporizer, able to handle anything from e-liquid, concentrates, and dry herbs, depending on your mood. The KandyPens SkyCloud features an array of different attachments for each job and performs as well with one as it does the other. This vaporizer, of course, isn't as simple to use as the Series 7 with its concentrates cartridge, but it is definitely above average in every other category. Do keep in mind that if you prefer dry herbs, the V2 Pro and the VaporFi Orbit are going to work better than the KandyPens SkyCloud. On top of being so cheap, it is portable and can easily fit in the pocket or the hand, built with high quality materials to make it durable and popular among the community. The Kandy Pens Gravity is a wax pen vaporizer that is sleek and compact, but doesn’t lack power. This model features four temperature control settings of 300, 350, 390, and 430 degrees Fahrenheit. A powerful battery heats up the three atomizer choices to your chosen temperature. Atomizers include a quartz crystal chamber with dual quartz rods, titanium coils, or a coil-less chamber with a ceramic dish. These chambers of this vaporizer can hold up to .5 grams of concentrate at once and take advantage of an elevated airflow system that allows for satisfying clouds with no leaking or clogging. Made specifically for use with waxes and oils, the Kind Pen Dream may look similar to other vaporizers on the market today but it has a number of different features such as a dual quartz atomizer with coils and a ceramic disc atomizer, both optimized for flavor and cleanness but leaving you in control of vaping. The Kind Pen Dream vaporizer uses three temperature settings, which are 350, 390, and 430 degrees Fahrenheit to allow further customization. The Dream even has a glass mouthpiece that helps maximize the crisp flavor that this vaporizer can produce. The Kind Pen Status is a convection-heating vaporizer that promises zero chance of ever combusting your herbs. It features a pure ceramic chamber that provides an even heating of your material, ensuring that no herbs go to waste. With the Kind Pen Status vaporizer, you can enjoy precision temperature control from 350 to 430 degrees Fahrenheit along with its smart memory function that remembers what temperature you last used. Its long-lasting battery allows for hours of vaping on the go, as the Status is also incredibly stealthy and fits well in the palm and in the pocket. The Puffco Pro 2 is a simple to use and assemble wax pen vaporizer that has eliminated messy 510 threading with snap off parts that make opening and filling the chamber simple. Outside the chamber, the Puffco Pro 2 comes with a Splash Guard feature that stops your concentrates from spilling and splashing during vaping, helping to protect your lips. This vaporizer comes with both a large ceramic coil and a single ceramic coil, which both produce clean tasting vapor that comes out in large clouds. Perfect for on the go use, the Puffco Pro 2 vaporizer takes only one hour to charge. Another brilliant creation from Storz & Bickel, the Mighty is a big, cordless home vaporizer that is somewhere between a desktop and a portable design. Simple to hold, transport, and store, the Mighty needs only 45 minutes to charge to produce 90 minutes of vaping power. The Mighty vaporizer also uses pass-through charging; you can plug in the Mighty right as it dies and continue to use the vaporizer, unlike others where you need to wait a designated period of time before use. Its on-screen display allows you to precisely change the temperature settings as you see fit. The FlytLab Lift is a portable dry herb vaporizer that takes advantage of true convection technology in order to avoid the risk of combusting your valuable herbs. This compact vaporizer uses a ceramic heating element that works to evenly heat your herb material in such a way that nothing gets wasted, and all vapor produced is crisp and flavorful. It has three temperature settings of low between 365 - 375 degrees Fahrenheit, medium between 395 – 405 degrees, and high between 415 - 425 degrees. The Lift vaporizer can heat up to any one of these temperature settings in only 60 seconds. Unlike most other vaporizers on the market, you would be hard pressed to find another vaporizer pen that works similarly to the Vaporite Quartz. Extremely portable, but be mindful of its glass globe design. Inside, there is a top quality quartz atomizer that provides evenly distributed heat for clean hits, and also heats your material to perfection in no time at all thanks to its robust 1100 mAh battery. The entire Vaporite Quartz vaporizer can be controlled using its handy Bluetooth app. The Vapir Prima is a high quality, portable vaporizer for dry herbs that is compact and simple to use in both the pocket and in the palm thanks to its compact nature and its lightweight, brushed aluminum housing. The Vapir Prima uses a stainless steel heating element that helps to cool down the vapor as it makes its way to the mouthpiece so that you can avoid harsh hits. With four predefined heat settings ranging between 350 and 400 degrees Fahrenheit that can be reached in only 45-60 seconds, the Prima is great for a quick vaporizer anytime, anywhere. Q: What are the main types of vaporizers? A: Portable, desktop, and vaporizer pens. Q: What kinds of vaporizers are there? A: There are three main kinds of vaporizers depending on what type of material you want to use, wax pens, oil pens, and dry herb pens. Dry herb and oil models are the most common. Unlike bigger vaporizers, these pens typically can only use one kind of material, but there are 3-in-1 vaporizers to look into if you enjoy all three. Q: What is a vaporizer? A: A vapor pen or vaporizer is an electronic cigarette that lets you vape a number of different materials outside of just eliquid, such as oil, wax, and dry herbs. It gets its name from the fact that it looks a lot like a writing pen, yet they can still be as big as a permanent marker or cigar. These devices typically have three parts, including an atomizer, a cartridge, and a battery that is rechargeable and sometimes removable. Q: What is the difference between conduction and convection vaporizers and which one is supreme? A: Conduction vaporizers heat your material by directly touching it and heating it to its vaporization point. Convection vaporizers use dry air to heat the herbs, which never come into direct contact with the heating element. Conduction poses a risk of combustion, while convection does not, making convection preferred. Q: Which is the best vaporizer? A: The best vaporizer is subjective and depends on the kind of material and circumstances in which you want to vape. Your best bet is to read online reviews of the kind of pens that you are interested in and go from there. Q: Is using a vaporizer easy? A: Yes, but it will depend on the type of vaporizer. The issues that people have the most are often caused by the irritation of having to clean or to refill the chamber. Outside of that, you should always be careful that you’re not touching the heating element and burning yourself. Even with little experience, anyone can enjoy a vaporizer without too much of a problem. Q: Do vaporizers make noise? A: No. Even the cheapest vaporizers won't make more noise than a new fan turning. Question: How to I clean a vaporizer? A: It all depends on the kind of vaporizer: most portable vaporizers require almost no cleaning, but glass vaporizers need periodic rinsing with solvents and hot water. Most powerful models come with cleaning kits to make it easier. Q: Can a vaporizer damage your health? A: Though there are still debates and studies being done on the topic, it’s widely accepted that true vaporizers are much less harmful than combustion, or smoking, as vapor does not contain all of the nasty toxins that come out of smoke. The absence of these chemicals, while still delivering all of the compounds you desire, makes it a much healthier choice for those who want to stop smoking. Q: How does a portable vaporizer function? A: Simply put, a portable vaporizer is powered by a battery that generates heat anywhere between 340 and 410 degrees Fahrenheit. The vaporizer’s heating element is set to the material's vaporization point and then the vapor can be inhaled. Q: How Do Wax Vaporizers Work? A: Vaporizers are made up of three main parts: the mouthpiece, the atomizer, and the battery. The atomizer is what heats up the concentrated wax, also known as the heating element. Atomizers can come with or without wicks. Atomizers with wicks are often made with fiberglass that can be unhealthy when inhaled, so it is generally recommended that vapers stick to atomizers that are wick-less. The battery of these models can be anything from an eGo style battery to an embedded battery, a USB charged battery, and even a typical AA battery. Last but not least, the mouthpiece is where you inhale the vapor from and it can be made from any material from plastic to silicone to stainless steel. There are three main kinds of vapor pens available, wax, dry herb, and oil vaporizers. The e-liquid vaporizers are where the vaping trend started, and then people began to wonder if using dry herbs in the same manner could improve one's health just as switching from tobacco to ejuice has. The wax and dab pens were what really shook up the industry. Dabbers everywhere enjoyed wax but not the tedious process of heating up the dab nail with an unreliable and quite dangerous torch. Using a dab pen took away those issues and made vaping concentrates more enjoyable. With this pen, dabbing is simply effortless and allows you to enjoy concentrates in a more customized manner. Finally, the herbal vaporizers are relatively popular but not as feature-filled as the other two types. Some companies have made dry herb devices that are worth looking into, but the right style of dry herb model is going to be a portable vaporizer and not a vape pen. Below you will find the three main varieties of vaporizers to consider after thinking about where you'll be vaping. - Vaporizer pens: A vaporizer that looks like a pen for dry herbs is good for simple to use when you're running low on time. All you have to do in order to turn the vaporizer on is to click the power button five times in rapid succession. Then, simply pop open the mouthpiece and pack in your ground up herbs, typically only about half of the way full in the chamber so that the right amount of airflow can push the vapor through your mouthpiece. These types of vaporizers typically cost around $30 to $120 depending on the model. - Desktop vaporizers: Though they are pricey, desktop vaporizers are powerful and resilient, often lasting their users for years upon years. They are all temperature controlled and allow you to share the goods with your friends. These style vaporizers often come with a whip or a balloon, whichever you prefer, as both are great. They get their charge from a power outlet as opposed to a battery and generally range between $140 to $700. - Portable vaporizers: Portable vaporizers vary greatly from one to another, but they all function similarly at their core. Simply turn it on and set the temperature that you prefer. That said, some do not allow temperatures to be controlled, so take that into consideration when choosing your next vaporizer. Just like a vaporizer pen, you'll want to use an herb grinder ito maximize airflow and only pack it about half full as well. These will often run anywhere between $50 and $100. A portable vaporizer can make enjoying herbs and waxes as easy as can be. 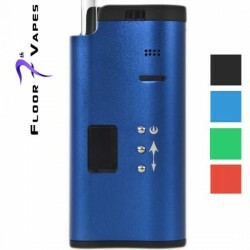 At VaporPlants.com, we carry all of the best portable vaporizers on the market today, and are here to help you choose the best handheld for your needs. Read on to learn what you need to consider when choosing the best portable vape. A portable or hand held vaporizer is a medium to small device that is powered by something other than direct electrical current. A very compact model is sometimes called a pocket vaporizer because it can fit into your pocket for easy carrying. Handhelds free you from being tethered to a wall outlet by a cord, so that you can travel and make use of a vape. Small vaporizers are also easy to store at home, and most of the models are more efficient and better able to produce vapor of higher quality than vape pens. One of the most common temperatures to vaporize dry herbs is 375 degrees Fahrenheit, meaning that many units will already have this temperature setting installed. Some herbal vaporizers only have one optimized temperature and some have a number of different temperatures for you to choose from. Some vaporizers even boast full and total digital temperature control. Whichever temperature you pick to vape at, it’s all truly a matter of personal preference. Consider that running a vaporizer at a lower temperature will produce less vapor but give a purer taste, but running it at a higher setting may produce a more potent vapor but one that is not as robust in its flavor profile. Think about how you plan to use your vaporizer. If you want a big party vaporizer, consider a desktop, but keep in mind they are pricey and cannot be moved from place to place with ease. A portable vaporizer might be better suited for most people as they are excellent choices for compact usage, perfect for private sessions at home, and anything in between. You want to consider whether or not you need to be stealthy. The larger the vaporizer, the harder it will be to carry around. Super small vaporizers heat up quickly, which can make them uncomfortable to hold. It’s all a matter of give and take. You always want to check for the desired features on vaporizers such as heat up times, temp controls, app compatibility, variable voltage, digital screens, and efficiency. Focus more on the temperature controls and perhaps airflow as this is going to give you the most control over your vaporizer vaping sessions. Having a substantial battery life means that you’re able to take the vaporizer almost anywhere without needing to recharge it often. Some batteries are eGo style and won't last long while some vaporizers have powerful 18650 batteries that can last for hours on end. Having the right vapor path, such as one made from glass or ceramic, is crucial. This can make or break the flavor of the vaporizer, as plastics may react with the heat and cause an undesirable taste. With wax and oil in mind, vaporizer pens were manufactured as a spinoff of ejuice pens. Until recently, finding a pen that could solely vaporize dry herbs was difficult, but with models such as the 3-in-1 vaporizers, you can vaporize dry herbs more simply than you can with a stand-alone model. With these, you get the option of enjoying all of your favorite materials in one convenient pen. A conduction-based cheaper vaporizer is one that is going to heat the dry herbs through direct contact with the heating element or coil, whereas a convection-based vaporizer heats the dry herbs using hot air to get them to their vaporization point. Conduction style heating poses a risk for accidental combustion, so be mindful. Convection vaporizers, while more expensive, offer better flavor and zero risks of combustion, making them preferred among vapers everywhere. Smoke elimination. True convection vaporizers only heat to the dry herb's point of vaporization and not its point of combustion, meaning that no smoke will be produced, which means no harmful toxins will enter your lungs. Healthier respiratory system: Because you are giving up smoke, aka combustion, which is 95% toxins, you are eliminating most of their side effects. Small and compact. Vaporizers are less obnoxious than their glass or paper counterparts, allowing you to vape tastefully outside without bothering others. Conservation of dry herbs. By not burning your herbs, you are able to save more surface area and spend less money on your herbs. There’s no objectively perfect vaporizer as everyone has a preference when it comes to vaping. Keep an eye out for the vaporizer that has all of the features and functions that you find important. What’s perhaps more important than looking for features is considering a vaporizer's downsides. Some vaporizers produce huge clouds but sub-par taste, while some focus on flavor with less of an emphasis on cloud production. Either way, all of these vaporizers, no matter what you want, can last you for a long time, so it is important to put thought into your investment. With vaporizers, it’s also important to realize that you must treat it as a regular piece of glass that you'd use for smoking. For instance, you cannot bang it against something in order to clean it out, as this will ruin the delicate elements inside. When you think about buying a vaporizer, do you consider one that can be used as a 3-in-1? Alternatively, do you want something that is just going to last you for a really long time, all of the rest of the features falling to the wayside? Do you want customizability such as variable voltage? How about portability? These are some questions to ask yourself while considering the type of vaporizer you want. 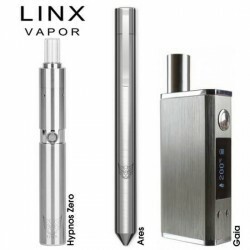 If you tend to be a bit careless with your belongings and have a feeling that you'll lose them after a few uses, you'll want to go with a vaporizer pen that comes with a kit with several replacements like cartridges and atomizers so that you won't have to worry about replacing the vaporizer itself over and over again. If you need something compact because of the area that you live in or the people you live with, you'll want something ultra-small and compact like the KandyPens SkyCloud vaporizer. 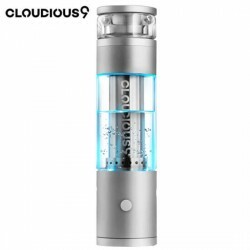 If you love the idea of blowing huge clouds and want to learn how to do all of those tricks that you see online, getting a cloud chasing vaporizer such as the Phantom is going to be your best bet. If you are all about flavor and want your vaporizer to retain as much of it as possible, getting a small, yet powerful vaporizer such as the Atmos Junior will work out excellently for you. Taking a vaporizer pen on the go with you sounds like bliss, so be sure that you get a model like the Omicron that boasts a powerful battery, a huge fill tool for wax, and a durable build for taking virtually anywhere. If you have yet to experiment with vapor pens, it is wise to start with something with simple features. Low priced and powerful, you can enjoy high quality vaping without all of the complicated bells and whistles. If you’ve come to the conclusion that using a vaporizer for your herbs is the best thing for you, then you’ll soon notice that there are several different kinds of dry herbs vaporizers for you to choose from. The most typical and popular kind are portable vaporizers, which let you vape your herbs just about anywhere. Portable dry herb vaporizers are available in a number of different sizes and shapes, so that you have several different options to pick from. If you like vaping in the comfort of your own home, a desktop vaporizer may be your best bet. A desktop vaporizer is typically a lot bigger than a portable vaporizer and much more expensive, yet they are able to generate a much higher quality of vapor and are built to last. Finally, you could consider a dry herb vaporizer pen, but these are usually a lower price, and of a lower quality. A vaporizer for herbs is essentially a portable vaporizer that is shaped like a pen and looks similar to an e-cig, which does help to save space when using your vaporizer in public. These devices typically will use a heating chamber that has a conduction coil for vaporizing your herbs, yet sadly this kind of heating can burn the material instead of vaping it, so research thoroughly before purchasing one. Like with anything else, there are a few things you need to know when it comes to using any sort of vaporizer. Keep in mind that they are going to produce vapor and not smoke, and while that may seem obvious, many people don't realize that your dry herbs disappear twice as quickly when vaped, leaving behind a much weaker smell than smoke does. Because the vapor is so light, most of the time it won't come out as a huge visible cloud, and it's going to look different for that reason as well. Due to how a vaporizer heats dry herbs, you will also need an herb grinder that provides as much surface area as possible, as just dropping a bud into the chamber is not going to work at all.